Are NGOs Different than Nonprofits? There are a variety of organizations and institutions that have one mission: to make the world a better place. However, the plethora of designations for such groups, such as social advocacy groups, nonprofits, religious associations, and non-governmental organizations (NGOs) can be confusing. Nonprofit and non-governmental organizations are two of the most common designations and are often interchangeable. So what are the differences between these two types? Both non-government and nonprofit organizations work towards improving human welfare and bettering society. 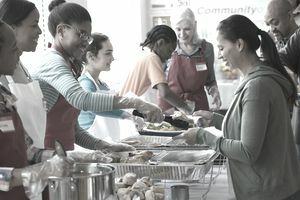 In the US, these organizations are commonly called “public or charitable nonprofits.” The IRS clearly spells out what a public nonprofit does and grants it special tax privileges when it adheres to specific rules such as those around 501c3 designation. Nonprofits can be called non-governmental organizations, also known as NGOs, but the NGO designation has the connotation of an organization working in countries other than the US, often on a large scale to support national and international projects for causes such as disaster relief and human rights. Charitable nonprofits in the US can be referred to as NGOs whether or not they work internationally. However, we commonly use the NGO designation for international organizations not based in the US or US-based charitable nonprofits that also work internationally. Their legal designation, though, is a public nonprofit or 501c3. Nonprofits and NGOs can be of any size and are often devoted to a wide range of causes. Internationally, NGOs vary according to their countries laws and regulations. That makes it difficult to generalize about their structures and practices. Many NGOs, although called non-governmental organizations, do receive government funding to one degree or another. That is also true of US-based nonprofits. They can receive grants from the government or other steady income. For instance, US nonprofits operating internationally sometimes benefit from US government foreign aid programs. NGOs and nonprofits have many shared interests, yet how these organizations are set up and funded can be very different depending on where they reside. The term “non-governmental organization” was created in 1945 during the creation of the United Nations. NGOs are organizations that operate independently of the government. They carry out humanitarian efforts and promote social change. NGOs are, in reality, nonprofits created by individuals working towards a larger shared goal. NGOs can operate on a local, national, or international scale to provide services that bring attention to topics such as environmental issues, health crises, human rights violations, and community development. NGOs, like nonprofits, are largely funded through private donations, grants, loans, membership dues, and the sale of services. They can also accept funding from government organizations while maintaining their non-governmental stance. Some NGOs rely on funding from government organizations, but the government cannot directly oversee what an NGO does. It also cannot be involved in decisions that the NGO makes. If they qualify, U.S.-based NGOs can apply for tax-exempt 503(c) status with the Internal Revenue Service (IRS). Donations from donors are tax-deductible if the NGO is a charitable organization. The tax deduction only applies to US-based NGOs, not to Internationally based NGOs. Nonprofit organizations are created for purposes other than generating profit. Within these organizations, any profits made are put back into the community or cause, with the nonprofit only committed to paying its expenses. No benefits are distributed to members or directors of the nonprofit organization. Nonprofits can be of any size, and they are. Sometimes they are smaller groups formed by individuals to make a difference within their local community. These organizations often operate on a limited scale, providing services with the help of their staff and volunteers. However, nonprofits can be quite large, such as universities and hospitals. Many focus on promotion and facilitation of art, science, research, and commerce. Operating on a not-for-profit basis often means that nonprofits are highly reliant on volunteers. In fact, for many, the effort to find volunteers is a dedicated task that can require funds and other volunteers’ time. Volunteers also become some of an organization’s best donors. Because there are so many types of nonprofits, it’s hard to encompass how they work. However, all nonprofits have a Board of Directors, a staff (volunteers or paid individuals), and often engage in for-profit endeavors to help support their causes. Such commercial activities range from thrifts stores to selling tickets to sports events or musical performances. Any person or group can form a nonprofit with the goal of supporting cultural, religious, social, or professional programs. Filing the paperwork to incorporate a nonprofit may involve fees, as well as excerpts from the organization’s business plan. Nonprofits are incorporated at the state level. Regulations for filing vary from state-to-state depending on the state's laws. In the U.S., organizations that have completed nonprofit filing with their state and local government can apply for tax-exempt status 501(c)(3) with the IRS. Nonprofit organizations are subject to ongoing compliance requirements. Nonprofits have a legal responsibility to report annually to the IRS, via 990 tax forms and advise donors of the tax status of their donations. NGOs and NPOs are both similar and different. However, they’re both working toward the greater good. Either way, the work they do is critical to society today and, without both types of organizations, many of the causes and efforts we support today wouldn’t exist.